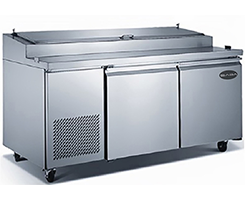 Saba pizza prep table SSP-44-6 keeps your ingredients fresh, organized, and at arms-length for an efficient prep-line. 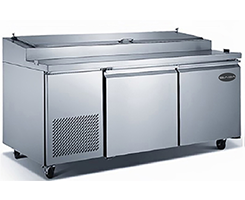 This elegant design has stainless steel interior and exterior with an aluminum finished back to serve as the perfect appliance in creating the ultimate culinary pizza. 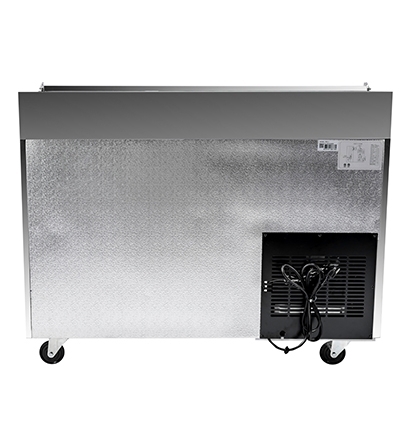 This prep table has the perfect capacity to keep your ingredients effortlessly in front of you and to store extra ingredients in the refrigerated cabinet base below. 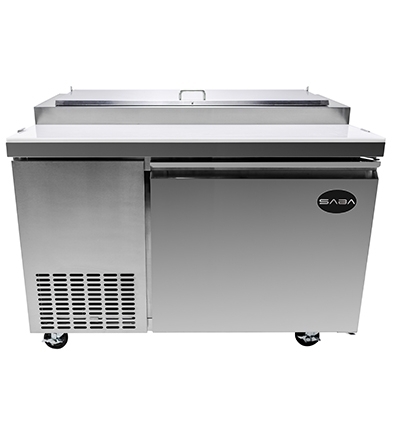 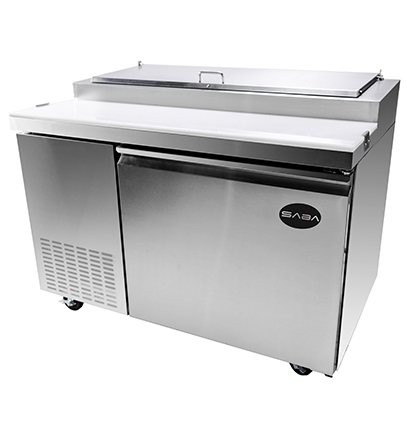 Saba’s pizza prep units are economical, yet designed to provide years of trouble-free service for any demanding application. 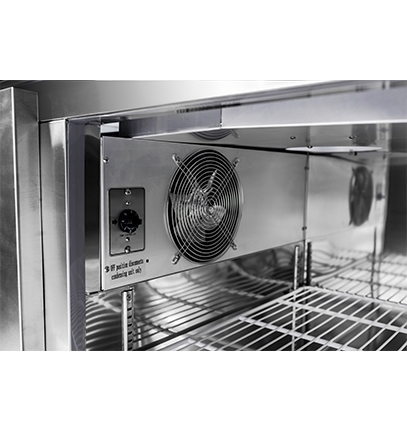 They are recognized for having the best warranty that is supported by a network of authorized service technicians to protect your long-term investment. 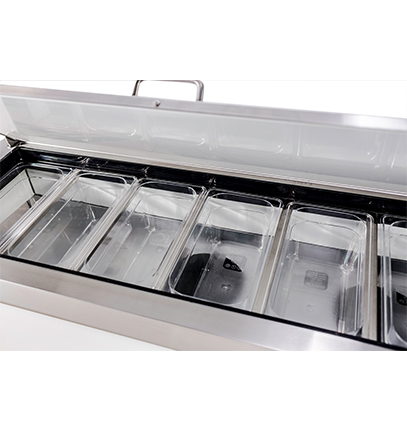 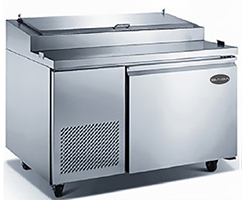 • Well Insulated lid on prep units increases efficiency by locking in cold air and helps maintain optimal freshness of food.